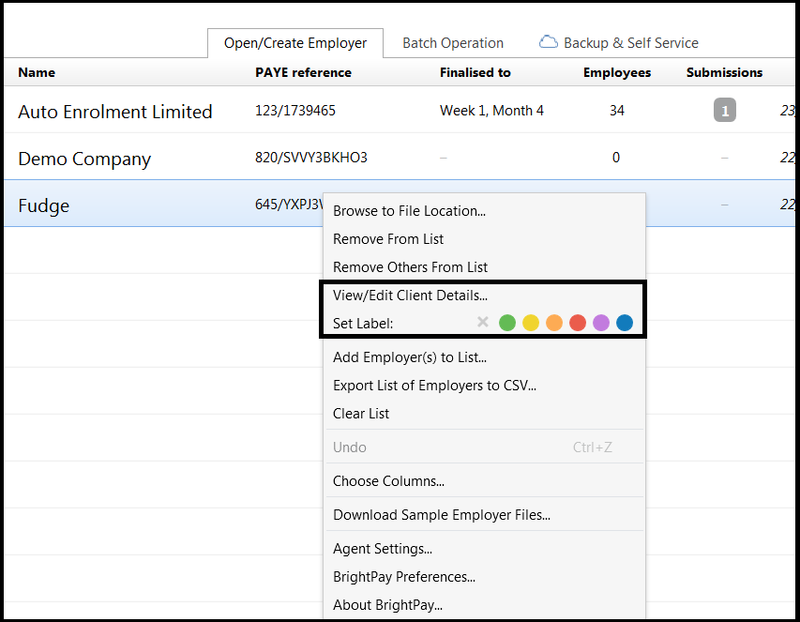 This information can be edited directly from the startup window by right-clicking on an employer and selecting the "View/Edit Client Details" menu option (this menu also includes a quick one-click link to set a label colour). 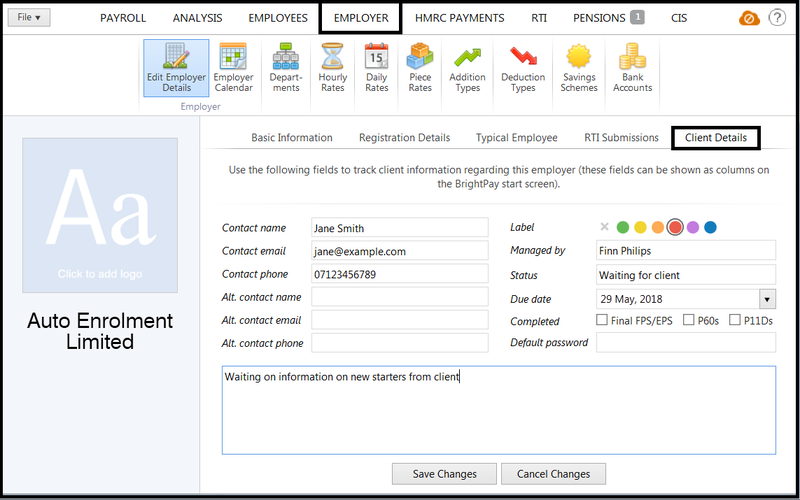 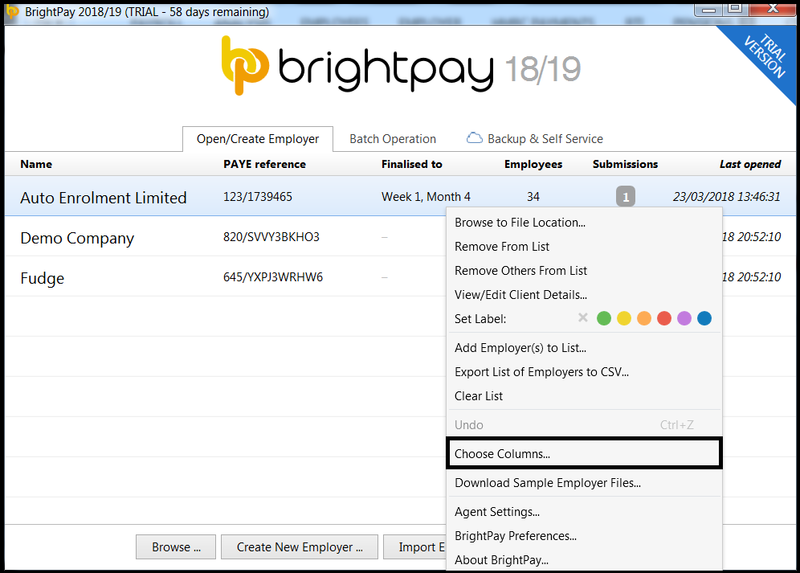 Alternatively, the information can be entered via the "Client Details" tab in "Edit Employer Details" when a file is opened in BrightPay. 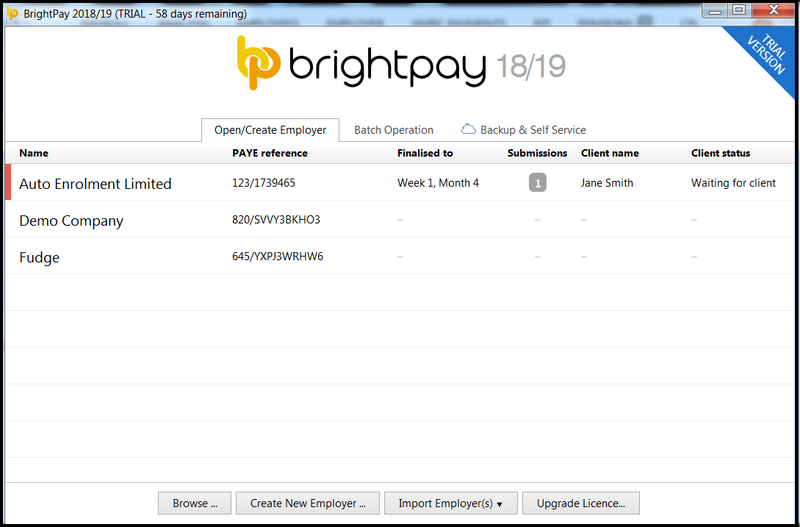 Tick the desired columns and "OK", the startup window will now be updated to reflect the changes.